Dishonestly edited videos accusing Planned Parenthood of illegally selling aborted fetal organs for profit have now become fodder for mostly Republican politicians—including those running for president. They are outbidding each other, vowing to destroy Planned Parenthood and in doing so both mislead and grovel before their Right-wing anti-woman base. David Daleiden, head of the Center for Medical Progress—a pure Orwellian doublespeak name—probably broke several laws making, faking and releasing the videos. The videos are not the only attacks the reproductive justice movement is facing. 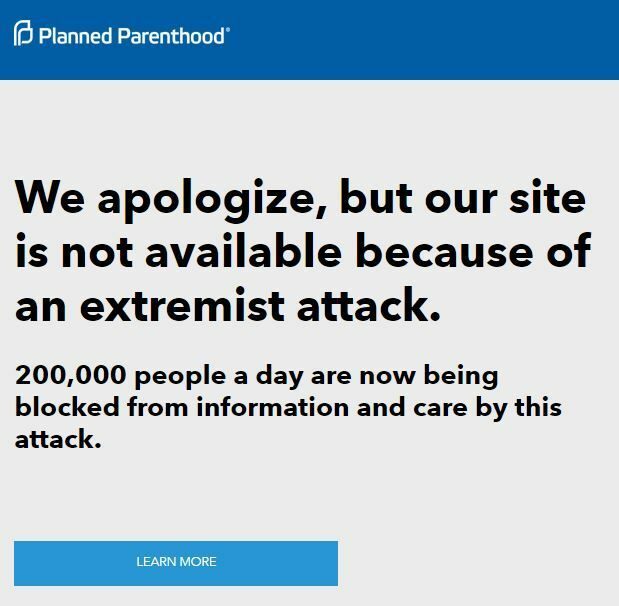 Planned Parenthood and the National Network of Abortion Funds have been attacked by hackers who went after their server, May First/People Link, as part of a national denial of service attack that began on July 30 and is continuing as we go to press. Planned Parenthood also suffered data theft. Data theft of private information about clinic doctors and workers is particularly alarming as names, home addresses, children’s schools, etc., have been made public and then used by fanatics to stalk, harass, injure and kill abortion providers and clinic workers. Gov. Bobby Jindal is terminating Louisiana’s Medicaid provider contract with Planned Parenthood, while he lies that its “employees…engage in illegal partial birth abortion procedures.” He knows that Planned Parenthood doesn’t even provide abortions in Louisiana! Jindal claims that denying women on Medicaid access to Planned Parenthood will “not jeopardize” reproductive health services for Louisiana women. But Planned Parenthood services 2.7 million patients there each year. A number of other states are also trying to break their contracts with the clinics. Republican Texas Representative Jodie Laubenberg, author of the sweeping anti-abortion law that closed more than half the abortion clinics in Texas, spewed the absurd: “This is no different than what happened in Nazi Germany, no different than during the experiments.” Since Republicans couldn’t shut down Planned Parenthood based on lies, they are planning to attach a rider to must-pass legislation this September, threatening a government shutdown. Women, especially poor women, have already been severely impacted by an avalanche of laws that effectively strip them of being able to obtain what is a legal medical procedure. The Republican vow to defund Planned Parenthood would mean $500 million cut from two programs aimed at helping poor people: 75% from Medicaid; and the rest from Title X—the federal family planning program that serves poor Americans. Now many women in Texas don’t realize that abortion there is still legal! Phony pregnancy centers help spread this lie, telling women who come in for an abortion that they are illegal; but women also believe it because so many legitimate clinics have been closed. Come Sept. 1, poor, uninsured women in Texas won’t be able to get government-subsidized breast and cervical cancer screenings at Planned Parenthood as state legislators passed a law specifying that clinics affiliated with abortion providers cannot receive taxpayer funding for exactly those services, falsely promising that those services would be available elsewhere. Seventeen Planned Parenthood clinics in Texas provided such screenings and were already prohibited by state law from performing abortions if they accepted taxpayer dollars, even if not used for abortions. Texas women are so desperate, and are so far from a clinic, that many are going to Mexico to purchase drugs to self-induce. Back-alley butcher abortions are not far behind. Demagogic politicians claim they are defending women’s health when they are attacking it. For women to obtain reproductive justice, we must be in charge of our own healthcare and not depend on any politician to do it for us. That would mean a fundamental transformation of this society. This entry was posted in Articles and tagged Abortion, abortion providers, anti-abortion fanatics, Bobby Jindal, breast exam, butcher abortions, Center for Medical Progress, cervical exam, clinic workers, data theft, David Daleiden, defund Planned Parenthood, denial of service, fake videos, fetal organs, fetal tissue, Gordie Howe, Jodie Laubenberg, Louisiana, Marco Rubio, May First/People Link, Medicaid, Mike Huckabee, National Network of Abortion Funds, Planned Parenthood, poor women, Rand Paul, Reproductive Justice, Rick Perry, stem cell research stem cell therapy, Ted Cruz, Texas, Title X. Bookmark the permalink.